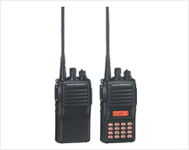 VX-160 is a set of rugged and durable portable radios that is ideal for a factory setting or for managing a fleet. VX-180 is a set of rugged and durable portable radios that give you unmatched operating convenience and functionality. The VX-210A is a set of rugged, lightweight, and affordable portable radio with unmatched cost-performance and versatility. 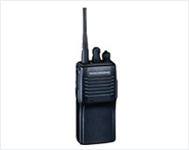 The VX-414/424 Series of 32-Channel VHF/UHF Portables features 5 Watts of Power Output and a host of leading-edge built-in features for demanding business/industry and public safety applications. Included as standard features are Dual 2-Tone Decode, 2-Tone Encode, 5-Tone Encode/Decode, Encryption, Voice Compander, and Multi-mode Scanning. The VX-414/424 may be programmed, by channel, for 12.5/20/25 kHz channel spacing, and for simplex or split operation. The deluxe VX-424 version features an eight-character alphanumeric display, 4 additional programmable keys and illuminated keypad. Both the VX-414 and VX-424 are available in Intrinsically Safe versions, and all are built with legendary Vertex ruggedness and unmatched cost-performance. 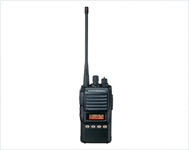 The VX-417 is one of the latest portables in the Vertex Standard line. The newest portable family to Vertex Standard brings a long list of standard features in a compact yet rugged package. CThe Vertex VX-427 radio is Intrinsically Safe (IS), offering the best protection in a volatile, hazardous chemical or gaseous atmosphere. The Vertex VX427 also offers 5 watts of transmit power, support for 16 channels and 6 programmable function keys. Channel scan and monitor functions are also supported. 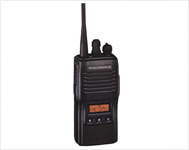 These professional radios offer a great value and provide a high level of performance and reliability in dangerous environments.